We need to sell wonky vegetables! | Supermarkets in your pocket. Home › Consumer › We need to sell wonky vegetables! Consumers are an irrational bunch – we’ll bend over backwards to save a few pennies on our grocery shopping and, then, end up throwing away mountains of food because we bought too much or forgot it in the back of the fridge until its “Use By” date was long expired. We discard 15 million tonnes of food waste per year but this doesn’t count the tonnes of produce that is left in the field, or fails to even get on the grader as it fails to meet very exacting supermarket specifications. 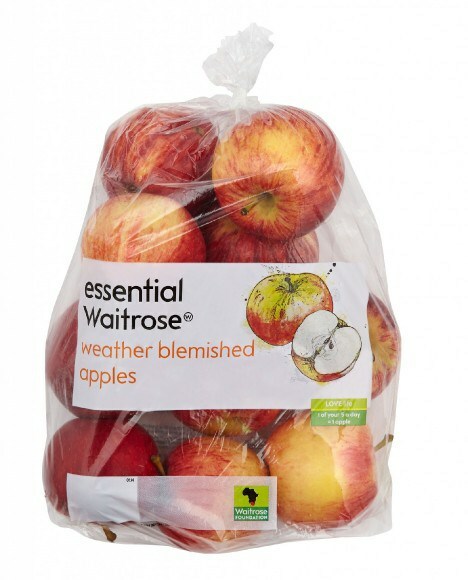 Responding to the growing concern about food waste, Waitrose and Sainsbury’s have both in the past added a range of “ugly” produce with the message being that these misshapen fruits and vegetables are every bit as tasty as regular produce, from British farms and positioned them in their entry price Essentials and Basics own brand range. These two supermarkets, in particular, have emphasised their ethical and general “foodie” credentials and massively over-trade in organics (accounting for 65% of organic produce sales although their combined grocery market share is only 25%). In January, Asda joined the “ugly produce club” announcing a trial fruit and vegetable range that was “beautiful on the inside”: such as knobbly pears and wonky spuds (potatoes)! What’s more, Asda have Jamie Oliver’s support – a global heavyweight on TV and accounting for an astonishing 50+% of all recipe book sales worldwide in 2013/14! Asda customers are, no doubt, as concerned about waste and environmental issues as much as any others, but they are lower income and have larger families than Waitrose customers. Not surprisingly, therefore, Asda are offering the ugly produce at a 30% price discount to the regular stuff. Will the wonky produce range be successful? Past experiences suggest that shopper interest wanes and special offers on regular produce distracts the shopper. But, it’s a good initiative and in everybody’s interest if all the output of farm production has a commercial use – whether that be as premium product, knobbly fruit, an ingredient in food processing (soup, etc. ), or as an energy source from the biodigester! Mind you, smart agribusiness operators already know this now and, often, it’s simply lack of scale or sloppy management that leads to on-farm waste. ‹ Local food… trick or treat!